This entry was posted on Tuesday, November 20th, 2012 at 5:07 am	and is filed under Uncategorized. You can follow any responses to this entry through the RSS 2.0 feed. Both comments and pings are currently closed. Thank you for stating the what-should-be-obvious. 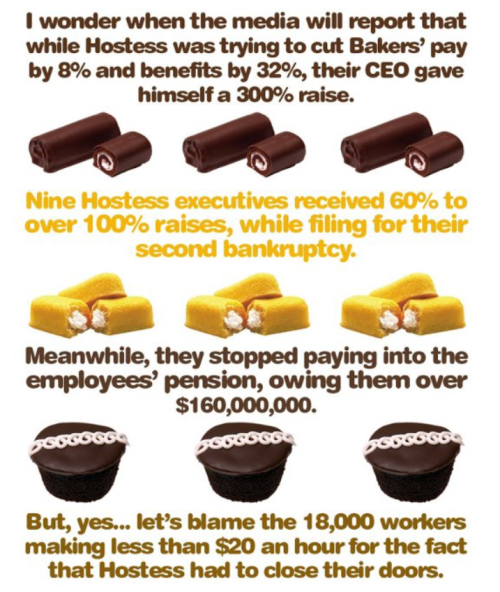 How come everybody is nostalgic about a crummy snack cake but not about the unions that have been gutted by greedy corporations?